Math is a science we all need to be familiar with. It is not everyone’s favorite topic. But the sooner you get your children started with it, the better off they will be. There are right and wrong ways to teach math. Math games can be especially effective in teaching kids the basics of this science. Number Run for iPad is one of those games. It teaches young boys and girls the very basics of math. 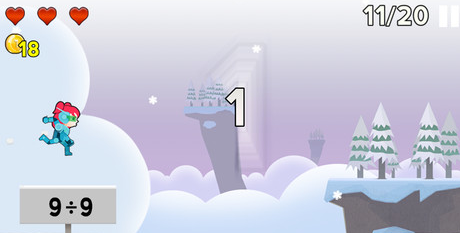 Number Run has kid-friendly graphics. The game is about using addiction, subtraction, multiplication, and division to reach the next levels. 52 levels are included. The game does have an Endless Mode to test your skills with. As you play the game, you get to unlock outfits too. The game-play is fun and easy to get a handle on. The graphics are optimized for Retina iPhone and iPad. 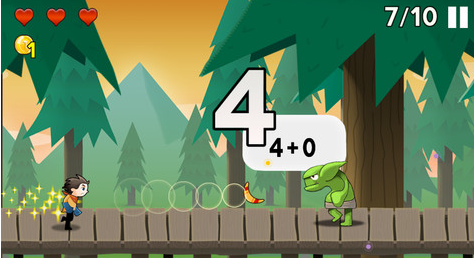 Overall, Number Run is a pretty awesome math game for your young ones. It looks awesome and is actually fun to play. It is one clever math game for your young ones.